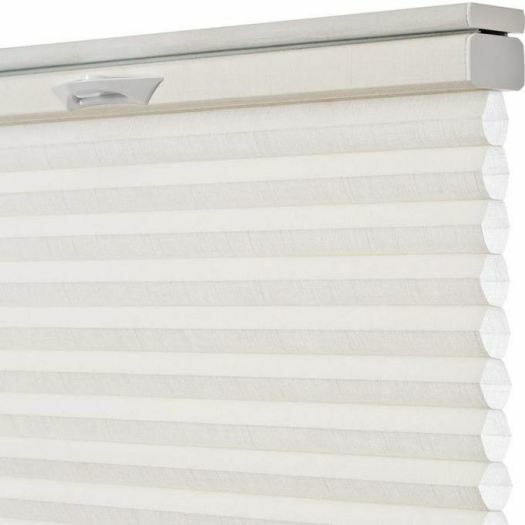 2 Blinds on 1 Headrail (+$22.76) ? Finally, an affordable cordless motorized option. The Cordless Motorized System is an easy, cord free motorized operation at an affordable price. No programming is required. Simply press and hold the up or down button on the pendant to adjust the shading position. 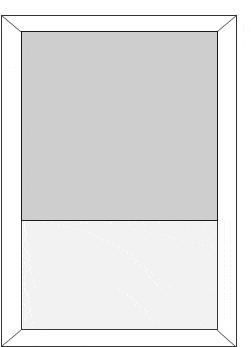 Release the button to stop the shading at your desired position. Plus, the exclusive Omni-View System, letting you raise the shading up to 24-inches with the vanes still open, works with the Cordless Motorized System. -Pendant is attached to the head rail and requires no additional mounting. Note: Please disregard Lift Cord Location in section above as it does not apply to the Cordless Powertouch Motorization option (since there are no lift cords). 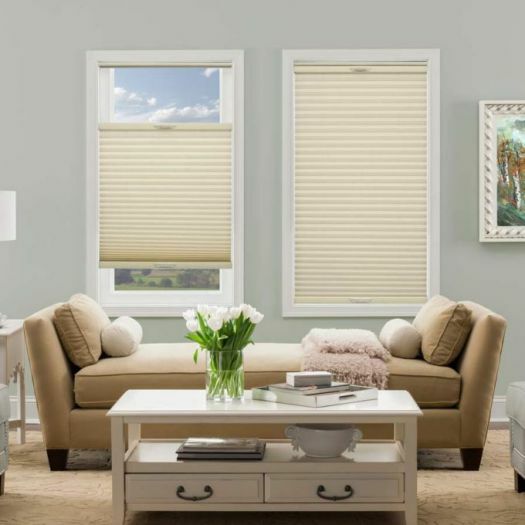 Designed for larger shades, our smooth operating Continuous Cord Loop System helps raise shades evenly and easily. The cord loop replaces standard pull cords and keeps dangling cords to a minimum. The clutch system keeps your shade at precisely the height you want. 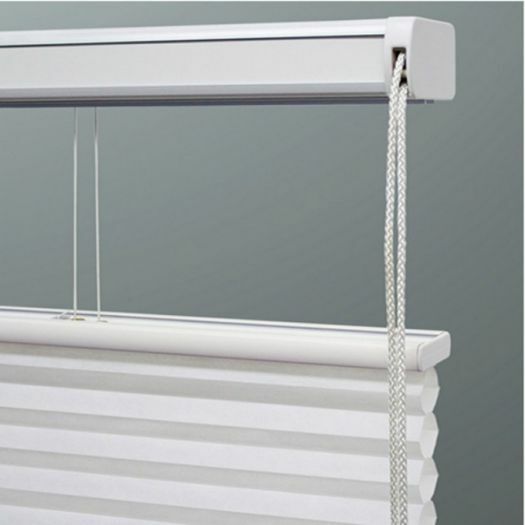 The white aluminum head rail comes with a coordinating strip to match the fabric colour. Two of the most popular options, continuous cord loop and top down bottom up have been combined into one. The shade comes with 2 sets of lift cords, one will raise the shade and the second will lower the shade from the top down. Please note: This option has standard controls only. Bottom lift on left and lowering of top on right. Treat your shade with ScotchGard Protector to keep it looking newer, fresher and cleaner longer. A combination of the latest advances in stain release and repellency provides exceptional stain protection. Hardware Oil Rubbed Bronze provides a refined, contemporary look that compliments your lighting, cabinet hardware, and other household fixtures. Brushed Nickel Hardware provides a refined, contemporary look that compliments your lighting, cabinet hardware, and other household fixtures. 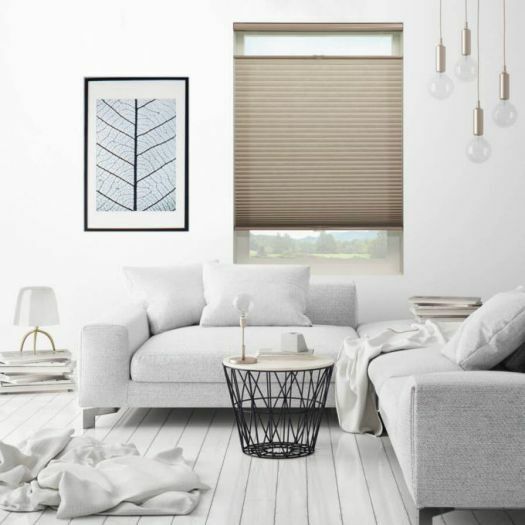 The 3/4'' Single Cell Light Filtering Shades come in 41 uniquely exclusive colours and allow you to enjoy exquisite beauty, while having the energy efficient benefits of a cellular shade. 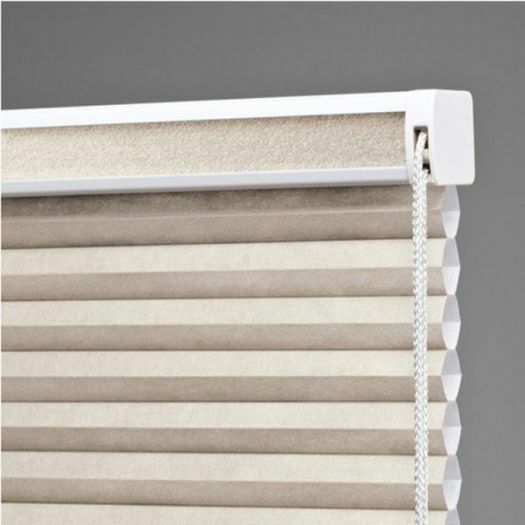 These shades are offered with a multitude of options such as cordless and top down bottom up and complete the designer look with the choice of coloured headrails. Decorative tassels and wrapped headrail and bottom rail. Neutral colour on backside (street side) of fabric to maintain uniform look to exterior. Conforms with C.P.S.C child safety guidelines. 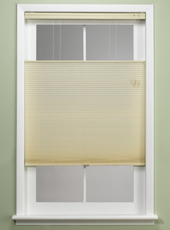 2 blinds on 1 headrail is available for larger shades. Maintain privacy while keeping an outside view with the top down/bottom up option. Continuous cord loop is available and recommended for ease in raising larger shades. Cordless lift system available for additional child safety. Cordless top down/bottom up is available. New continuous cord loop and top down bottom up option available. Choose from oil rubbed bronze and brushed nickel hardware. Top down/bottom up min width 12". Min height 12" max height 96".  Continuous cord loop min width 18". Cordless and Cordless top down/bottom up min width 18" max width 96". Max height 84". 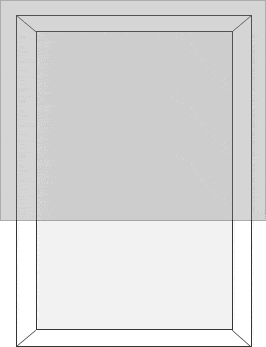 Cordless, cordless top down/bottom up, continuous cord loop, and continuous cord loop and top down bottom up are not available with side mount brackets. Cordless, cordless top down/bottom up, continuous cord loop, and continuous cord loop and top down bottom up come with white headrail only with a colour coordinated insert strip. Please note on continuous cord loop top and down bottom up option: This option has standard controls only. Bottom lift on left and lowering of top on right.